NASA is offering volunteers £14,000 to stay in bed and watch TV for two months. NASA is apparently offering volunteers £14,000 (€16,500) to lie in bed for two months as a part of their research on how artificial gravity can affect the human body. 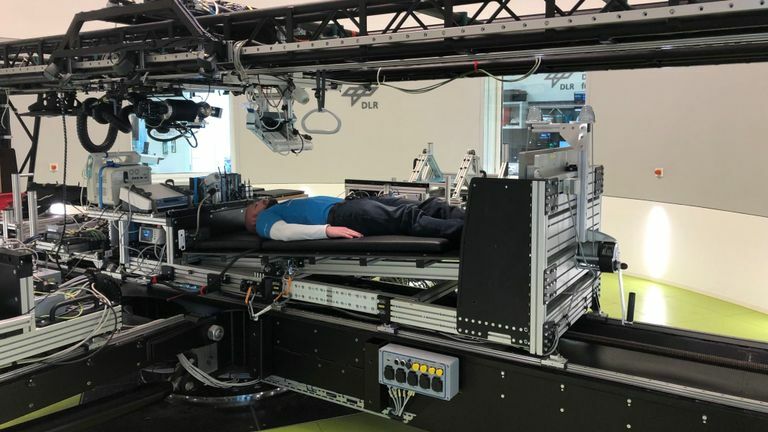 This week NASA launched The AGBRESA (Artificial Gravity Bed Rest Study) in cooperation with the European Space Agency (ESA) at the German Aerospace Centre (DLR). This study marks to be the first time scientists investigate the use of artificial gravity as a possible means of preventing the negative effects of weightlessness which is the absence of gravity on the human body. For the study, researchers are looking for 24 volunteers in total, 12 female and 12 male volunteers speaking fluent German, aged between 24 and 55 to spend 60 days in the beds. The volunteers will be kept in beds with the head end tilted just below horizontal with one of their shoulders touching the mattress at all time. As blood flows to their heads and muscle is lost from underuse, researchers will investigate changes and test techniques from diet to physical exercise. All experiments, meals, and leisure activities will take place lying down during the bed-rest phases. For the study, researchers are looking for 24 volunteers in total, 12 female and 12 male volunteers speaking fluent German. The participants will remain at the facility for a total of 89 days, including five days of familiarisation and 14 days of rest and astronaut rehabilitation either side of the 60-day bed-rest phase. During the study, the volunteers will be restricted in their movements to ensure any strain on muscles, tendons and the skeletal system is reduced. 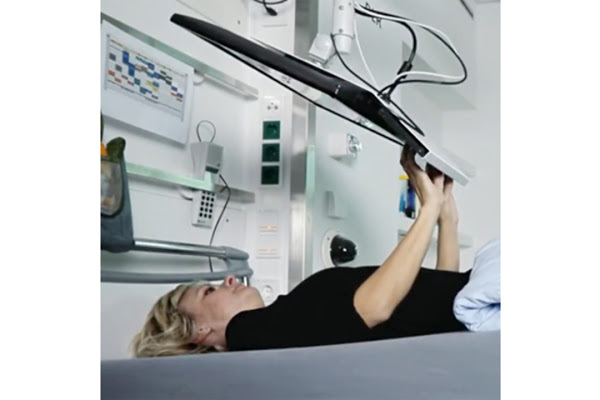 The beds will be located in :envihab, a medical research facility of the Institute of Aerospace Medicine of the German Aerospace Centre in Cologne. Associate Chief Scientist for International Collaborations for NASA’s Human Research Program, Leticia Vega, explains: "Both effects are similar to what astronauts experience in space. “Although the effects of weightlessness are primarily investigated on the International Space Station, analogs such as :envihab are helpful when studying certain research topics under controlled conditions on Earth. These findings will later be validated on the ISS." 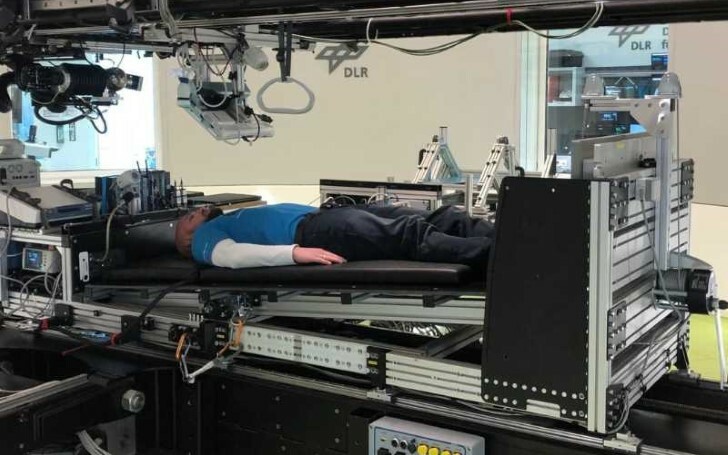 Team Leader in Human and Robotic Exploration at ESA, Jennifer Ngo-Anh, adds the study allows the researchers to “address the issue of muscular atrophy caused by weightlessness” as well as other stresses including cosmic radiation, isolation, spatial restrictions. The AGBRESA study will feature two campaigns, with the first batch of test participants having arrived on 25 March followed by a second campaign in early September. Applications for the autumn cohort close on 24 May. If you would like to take part in the test, email probanden-bit@dlr.de.